Dimensions 11" H x 3.5" Top diam. Our glass carafe is extremely versatile and attractive. When you want an elegant way to place ice water on your table, this item works well. 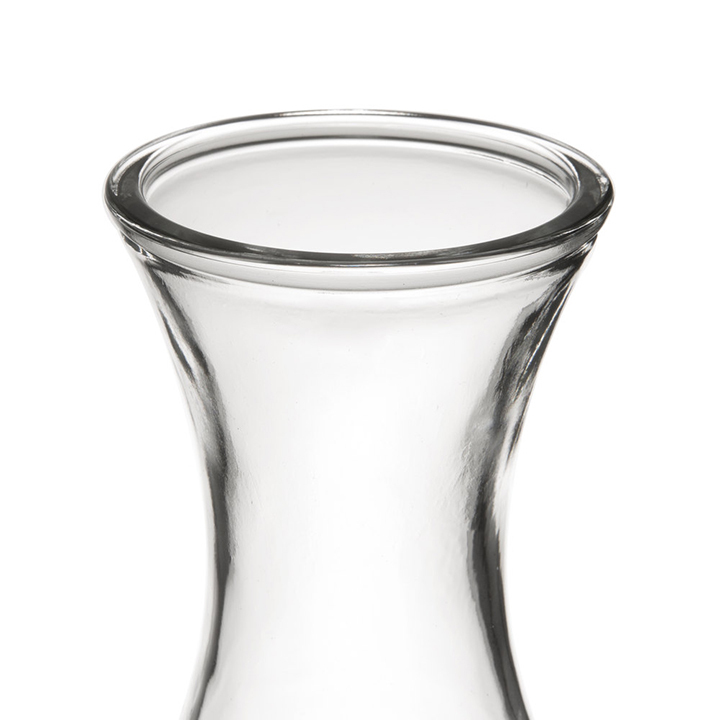 It is also a piece that can be used to aerate and serve your best red wine. 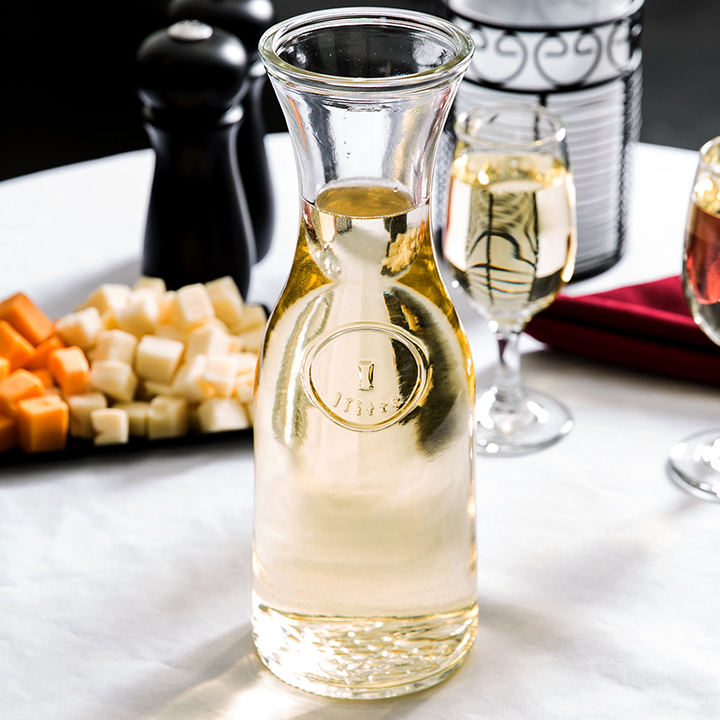 The discrete pour line helps your servers fill the decanter to the right level so that portions are easy to control. 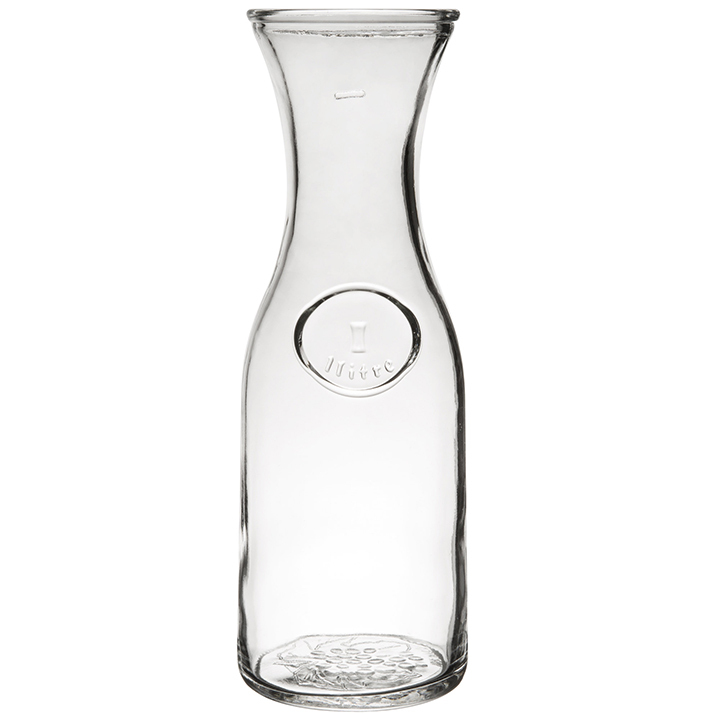 The etched design on the bottom of the carafe is sure to elicit compliments from your guests as well.